3 Locations. 7 weeks. Endless opportunities. Keep your students up to date with the latest STEM technology - sign up for one of our 2019 summer camps today! Explore the world through coding, digital storytelling, robotics, making, 3D printing, AR/VR and more. All Camp TechTerra stem programs include hands-on enrichment, fun and learning with a focus on coding, robotics and digital learning. We utilize innovative curriculum to teach computational thinking in an environment that honors safety, choice, exploration and fun. 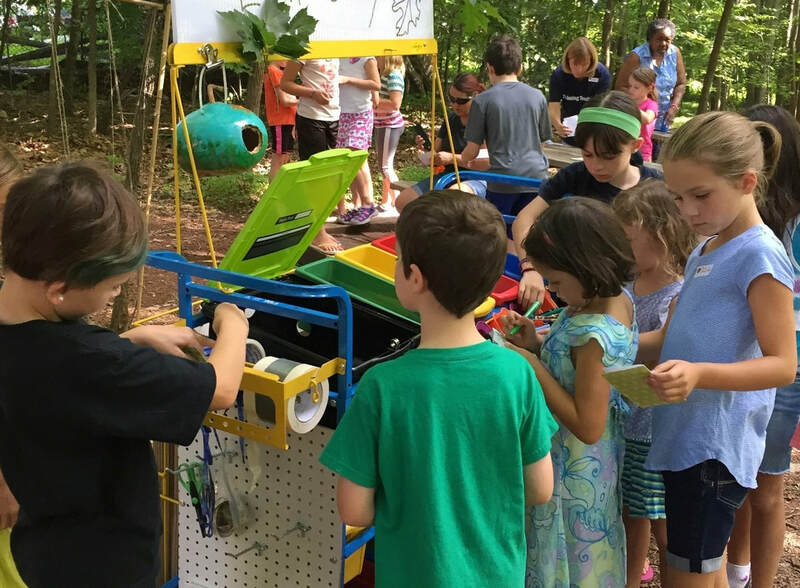 WANT TO BRING CAMP TECHTERRA TO YOUR SCHOOL? Get hands on with innovative tech. 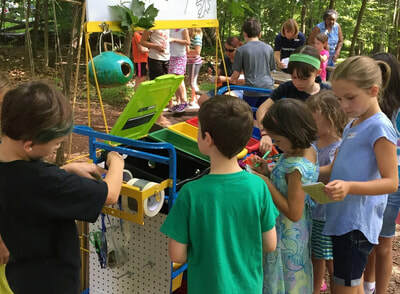 Camp TechTerra helps students explore the real world through science, technology, engineering, math and the arts, honing students’ creativity and developing competence and confidence. 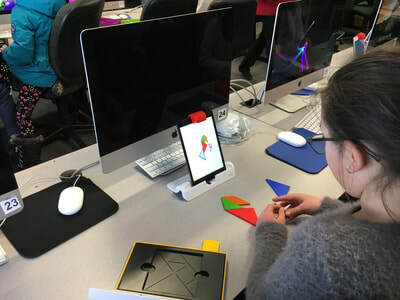 Students will have a chance to learn about coding, robotics, movie making, designing and crating art, connected learning tools, drones, and more! We offer access to exclusive STEM tools such as Kano, Hummingbird, Neuron, and Sparkables. All Camp Tech Terra certified lead teachers have experience teaching in technology based programs and receive continued, up to date training on all our products and curriculum. What parents are saying about Camp TechTerra . . .
​"My son loved Camp Tech Terra! Once intimidated by technology, he left camp with a new confidence and curiosity. The camp provided a lot of outside fun and hands on nature exploration for my active learner. The staff created an environment that welcomed students of various ages, backgrounds, and experience. We will be back next year!" "My daughter has enjoyed the Camp Tech Terra programming so much, she requested it for her 10th birthday! The Tech Terra team creates such an engaging experience, introducing concepts from coding to color theory, machine thinking to collaborative problem-solving. But the kids don't realize they're learning anything: they just have a great time!" "Our three children (ages 5, 6 1/2 and 9 years old) have attended the Camp TechTerra summer camps and after school programs over the past two years and LOVE them. Director and founder, Susan Wells, drawing on her 30 years of experience as an educator, has created the ultimate learning experience for children of all ages. Camp TechTerra is engaging, creative, unique and FUN. 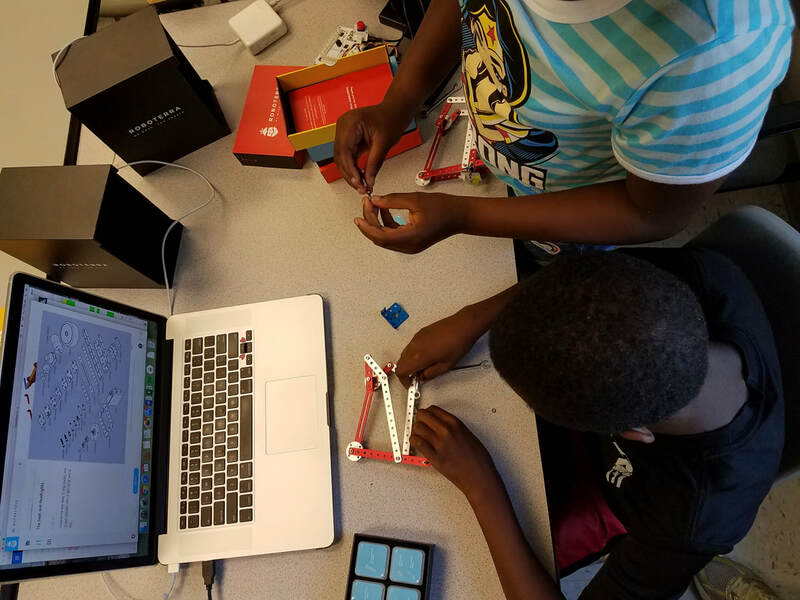 In just one week of camp, our children designed and built robots, constructed lego communities, filmed iMovies, learned to code, explored and studied the outdoors, cooked food in solar ovens, and more. Susan’s staff of professional teachers are wonderful with the children, challenging them and caring for them and their individual learning styles. We are always amazed to see and hear what our children learn at camp each day. We highly recommend Camp TechTerra and are looking forward to another fun camp this year."